Portland Boychoir is unique as the only all-boy choir in the Portland-metropolitan area. It provides a choral setting where boys’ identity, personality, and self-esteem are fostered by musical excellence. On a social level they learn how to interact with other boys in an empowering way. Our musical training provides them with knowledge that will enrich their lives, both as performers and audience members. Professional-quality performances and guest appearances develop skill and self- conﬁdence. Tours and camps offer an active environment where the boys can deepen relationships and practice cooperation between one another. honored mentors for boys in the Intermediate and Prep Choirs. Being a mentor means supporting the director during the younger boys’ rehearsals, receiving monetary payment, and acquiring letters of recommendation for reputable work. As high schoolers, the boys become Gents , where they sing with girls their age in a show choir called Ovation and occasionally they team up with the Advanced Choir as our most formal representation of Portland Boychoir. Advanced music skills taught by Portland Boychoir include sight singing, ear training, healthy and robust vocal production, singing in harmony, and stage presence. Our training program provides meaningful learning opportunities at every stage of a boy’s music education to improve musicianship, to build conﬁdence, and to gain experience. Each member advances at his own pace. Promotion is based on skill level, maturity, behavior, and attendance. Expectations and standards of excellence increase with each level. Advancement is not guaranteed through training alone. • Enrollment is limited in order to maintain small class sizes, a low student to teacher ratio, and a high-quality learning opportunity. • All choirs are trained and directed by Artistic Director, Dr. David York. In addition to our regular concert series, Portland Boychoir has collaborated with many high-proﬁle artists including Pink Martini, Michael Allen Harrison, Portland Gay Men’s Chorus, Bells of the Cascades, Daniel Nahmod, Portland Chamber Orchestra, Revalia Estonian Young Men’s Chorus, Phoenix Boychoir, Tucson Boys Chorus, and Matsiko World Orphan Choir to name a few. Recent performance highlights include Portland Choirs’ Everybody Rejoice at Kaul Auditorium Reed College, Portland Chamber Orchestra’s production of Handel’s Messiah, recording and performing with Pink Martini at the Arlene Schnitzer Concert Hall, and John Rutter’s Mass of the Children at New York City’s Carnegie Hall. Summer tours have included an eight-day, northwest driving tour, performing in six cities in Oregon, Washington, and Idaho and an Italy tour that included Rome, Florence and Venice. The Advanced Boys also recently completed a spring break tour to Arizona. Advanced Choir (ages 10 to 14) is comprised of treble-voiced and changing-voiced boys with advanced music-reading skills and excellent vocal production. 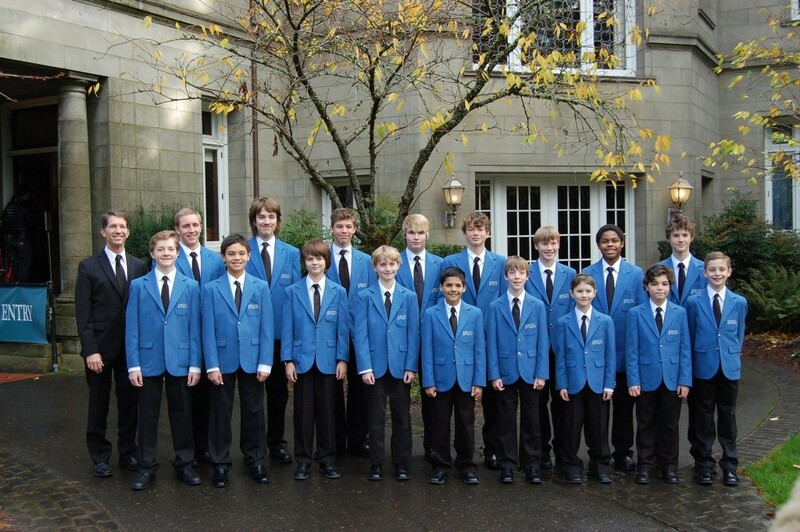 It is Portland Boychoir’s premier performing and touring choir. Intermediate Choir (ages 7 to 11) activates the ﬁery energy of boys and channels it into a vibrant singing celebration. Training is fun, fast, and full with emphasis on good vocal production, part-singing, music literacy, performance decorum, and stage presence. Primary Choir (ages 6 to 8) teaches our youngest singers the basics of music reading, how to sing in tune with freedom and ease, how to work together, performance etiquette, and fun, age-appropriate songs. Portland Boychoir repertoire covers a wide range of styles including classical, pop, and show tunes. As the boys work together and collaborate with other choirs and musicians, they grow socially as well as musically. The Boychoir experience opens doors for future musical opportunities of many different forms. A choral music education provides a greater capacity to ‘hear’ music as an appreciative audience member. Most boys gain a life long avocation. For exceptional singers, musical passions can be ignited, providing a jump-start to careers as professional musicians. Portland Boychoir is a 501(c)(3) non-profit arts organization whose mission is: “to provide music education and professional-quality performance opportunities that develop self-esteem, depth of character, and advanced music skills in boys 6 to 18.” Portland Boychoir is affiliated with Portland Choirs, a host organization for Portland Boychoir and Ovation, a show choir for high school age boys and girls. Need-based scholarships are available. Portland Boychoir does not discriminate on the basis of color, creed, disability, national origin, race, religion, or sexual orientation. 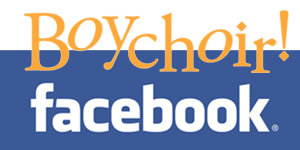 Portland Boychoir is not affiliated with any school or religious organization.